Essential Spanish Mexico by RAO Inc.
RAO Inc. believes that Traveler’s Tongue is your best First Step to enjoying a foreign language and enhancing your cultural experience. For your first visit or two to a non-English speaking country all you really need to know are a few essential words and phrases. 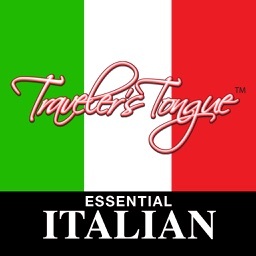 Each Traveler’s Tongue product provides approximately 50 practical and easy to learn words and phrases. Use them often and with enthusiasm. They will make your visit more fun and rewarding. 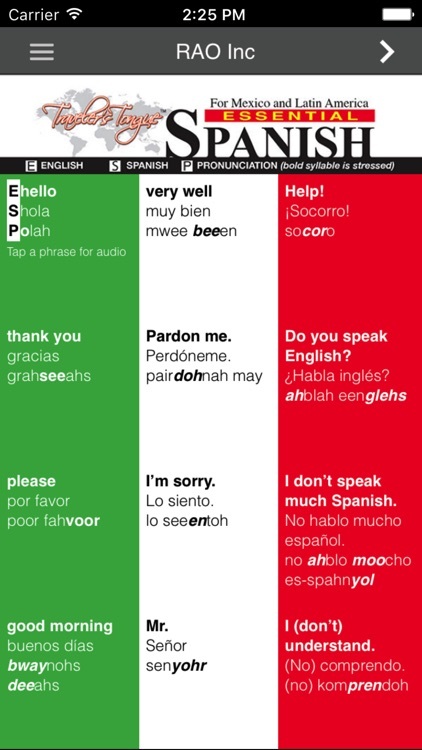 Also, the locals will appreciate your efforts to speak their language and be very helpful. When we travel to a foreign country we are demonstrating an interest in that culture. Speaking a little of the native language is part of the cultural experience. There are many Applications and phrase books on the market that offer far more words and phrases, and they are excellent reference sources. 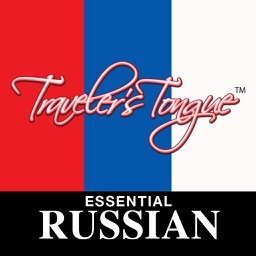 However, Traveler’s Tongue provides the most essential and practical words and phrases. They are meant to be learned because you will have an opportunity to use them often. Each entry provides a written phonetic spelling of the word as well as an auditory function. 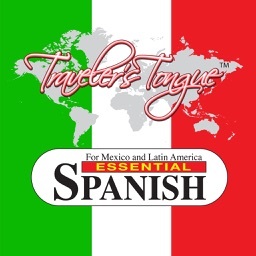 Traveler’s Tongue is currently available in Spanish (as spoken in Mexico and most of Latin America), Italian, French and German with Chinese, Japanese, and Russian soon to follow. 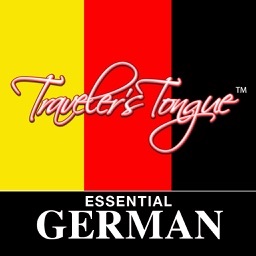 We are planning to provide Greek, Dutch, and Portuguese by September, 2012. RAO Inc. also offers a line of pocket-size casino gaming strategy cards on blackjack, craps, video poker, and Texas Hold’em. To date over 3.25 million of these strategy cards have been sold. Additionally, we offer pocket-size quotation cards on the themes of Love & Friendship, Death & Dying, Success & Motivation, and Birthdays & Growing Older. 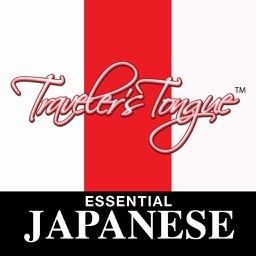 Our Traveler’s Tongue language cards are also available as pocket-size cards. Please see our web site at www.raoinc.com.